Instrumentation is ever at the heart of the Stephan Micus experience. Never a gimmick, it imparts to listeners a sense of organic care that is palpable in every gesture. 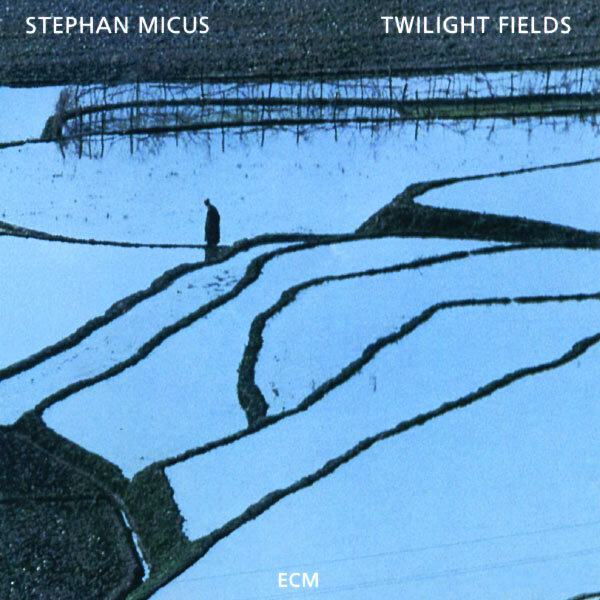 Of those gestures we get a plethora in Twilight Fields, his second album for ECM proper. In this close-eyed experience, the crowning elements come from a set of tuned flowerpots which, when struck with hand or mallet, produce a xylophonic texture that borders on gamelan. Part 1 spreads its vision like a walk through rice fields, lush and crepuscular. Hammered dulcimers dance above your head like a thousand memories, through which the rasp of a shakuhachi carries a pregnant song. Myriad footsteps walk alongside as you traipse through the otherwise unpopulated expanse of a nubile life, one to which you have strung all manner of concerns and loves and which now unites in a cord of simple possibility. The thrumming energy of that shakuhachi dissipates into Part 2, in which one hears only contact in lieu of movement, sound stepping in for dance with the gentle persuasion of a lullaby. The song returns, this time not a memory but a harbinger of things to come, an oracle bone hollowed out and given vocal shape. It dries and cracks with age yet maintains its splendor. Its golden light leaks between leaves and breathes in their veins. Out of these gonging interiors Part 3 enacts a rite of flowerpotted passage into the strains of Part 4, one of the most beautiful creations Micus has ever recorded. Here it is the nay that sings, at once moonlight and its reflection, the singer and the sung. Its surroundings open up in a hammered flower, lotus-like and iridescent. The shakuhachi’s mournful stag cry in the fifth and final part drops its dipper into a font of forgotten wisdom, scooping out the moon to drink down its cratered light. The wind refracts into a zither’s hum, leading us to the shaded glens of introspection that sustain all art and through which one must pass in order to arrive at the self. No matter what instrument Micus plays, one can always hear breath running through it. Like the flutes that figure so prominently here, it rests crisply at the edge of some aquatic abyss, every careful step touched by the blade of a forgiving biography.